When saving for retirement, you’re basically building an income-generating engine with a bunch of moving parts. Your “engine” might include cogs and gears such as an IRA, Roth IRA, 401(k), a pension or annuity, social security, cash value life insurance and more. You’re building a fine machine to carry you through retirement, and where you stash retirement savings today is arguably just as important as how much you end up saving. That’s because annuities, pensions, Roths, IRAs and other assets have different features, benefits, limitations and tax treatments. Income from your 401(k) will be subject to income taxes in retirement, while income from a Roth will not be. Some asset classes require you to begin taking minimum distributions at a certain age, while others do not. Some will provide guaranteed, stable income for life while the value of others will rise and fall with the markets. To really understand why it’s important to build an engine with so many different pieces, let’s fast-forward to retirement, the point where you’ll turn the keys and start that income engine. When that time comes, your task will become twofold: minimize taxes and ensure your ability to generate stable income that lasts through retirement. Accomplishing both tasks in concert takes a little know-how or a financial pro. But, if you’re pulling all the right levers on your income engine, the effect is akin to a Formula-1 driver nailing a hairpin turn at the perfect angle and speed. You’re getting every ounce of performance from that income engine you worked so hard to build. You don’t want to wake up each morning wondering how changes in the stock market will affect your ability to pay the bills or fill the fridge. Fortunately, a well-built retirement engine can insulate your income from market volatility. And although you might see the same amount of income rolling in every month or year, it won’t always come from the same sources — if the right levers are pulled at the right time. Building an ample cash reserve is key to stabilizing your income. As a rough benchmark, you want to hold about two years’ worth of your short-term cash needs in a savings account (or something similar). Holding two years of funds here gives you a financial buffer to help cover unexpected expenses or drastic changes in the market. How you fill the bucket, and when, is key to pushing your retirement engine performance to the max. In retirement, income from guaranteed sources like income annuities, Social Security and pensions will continually flow into your cash reserve. These sources typically provide stable income for the rest of your life. While these likely will not cover all your expenses in retirement, they will at least provide a floor for your income. Income from investments isn’t as predictable. Therefore, it’s best to sell investments in these accounts when the price is right. If the market is rising, for example, it might be a good time to sell a few investments to replenish your cash reserve before the next correction. Contrarily, if the stock market takes a deep dive and the value of investments has fallen significantly, you do not want to sell at depressed prices. Liquidating investments at low prices means you’ll need to sell more shares to fund your lifestyle, and that reduces the number of shares that will benefit during a recovery. Instead, during a deep market correction, it might make sense to dip further into your cash reserve or access cash value in a life insurance policy to fill your reserve bucket until the market rebounds. When you pay permanent life insurance premiums, a portion of each payment is set aside to grow tax-free. As cash value grows, you can access it for any number of purposes, such as for income during a down market in retirement. The key to creating stable income that lasts through retirement is diversity. With a diverse portfolio, each month you’ll have what you need to enjoy time with the grandkids or travel the world, even if that income comes from different sources at any given time. The sequence in which you draw from your accounts and the ways you combine that income will significantly impact how much money ultimately lands in your wallet. 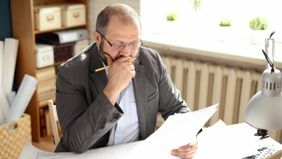 If you take too much out of taxable accounts in a given year in retirement, for example, you may push your marginal rate higher, which means a larger percentage of each additional dollar you withdraw goes straight to the IRS. 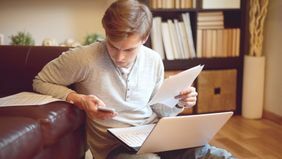 If your income level is straddling the line between the 24 percent and 32 percent tax bracket, you could see a significant impact on the bottom line as the amount you withdraw rises. Or, say you have an unexpected medical expense. Rather than paying for it by selling investments in a 401(k), which would increase your taxable income that year, you could withdraw your Roth funds tax-free. Ultimately, the idea is to defer paying taxes as long as possible. As you can see, strategically pulling money from taxable and non-taxable savings each year allows you to control when and how much you pay in taxes. That’s important because your taxable income can also impact Medicare premiums and the amount you pay in capital gains on investments outside your retirement accounts. Having a tax-diverse retirement portfolio is like playing a game of Tetris with all five pieces, rather than just one or two. With more options, it’s far easier to efficiently fill in gaps as they arise. On the surface, using multiple assets in retirement is simple: keep taxes low, generate stable income. However, with all those moving pieces it can be challenging to get the timing right. Fortunately, you can hand keys to your income-generating engine to a trained financial professional who will work with you to develop a plan tailored to your expectations in retirement. They can be your Formula-1 driver navigating the twists and turns of a rewarding, and financially sound, retirement. All investments carry some level of risk including the potential loss of principal invested. This publication is not intended as legal or tax advice. Financial Representatives do not give legal or tax advice. Taxpayers should seek advice based on their particular circumstances from an independent tax advisor.